We are thrilled to announce a one-day advanced training presented by Daniel L. Shapiro, PhD., Founder and Director of Harvard International Program on Negotiation, author of Negotiating the Nonnegotiable and co-author of Beyond Reason-Using Emotions As You Negotiate (with co-author Roger Fisher, Getting to Yes). Program Description: Emotions often get in the way of coming to agreement—in any setting—divorce/family, business, government, individuals/groups. But emotions also can be surprisingly helpful in resolving conflicts. In this advanced training, you’ll discover how to use emotions to turn disagreements into an opportunity for mutual gain. Internationally renowned negotiation expert Dr. Daniel Shapiro will present a powerful, proven framework he co-developed to address the emotional dimensions of negotiation and mediation. He’ll share concrete tools and tips that you can apply right away to enhance your effectiveness and reach greater levels of success in resolving conflicts. 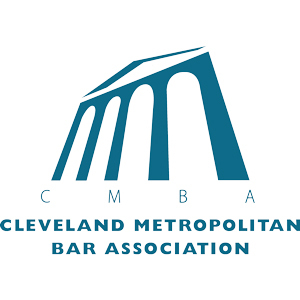 Co-sponsors: Cleveland Metropolitan Bar Association (CMBA) ADR and Family Law Sections, Center for Principled Family Advocacy (CPFA), and Mediation Association of Northeast Ohio (MANO). 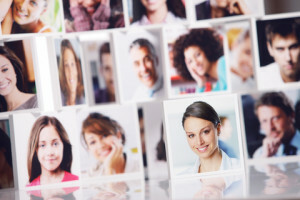 Daniel L. Shapiro, PhD’s life mission is to help people interact more effectively. As founding director of the Harvard International Negotiation Program, he has advised everyone from leaders of war-torn countries to executives at Fortune 500 companies and family-owned businesses, helping countless people solve the very human problems that divide them. Drawing on these experiences and decades of research, he has developed a wealth of practical approaches to amplify negotiation effectiveness—in business, in government, and in life. Named one of Harvard’s top 15 professors by the Harvard Crimson, Dr. Shapiro has launched successful negotiations in the Middle East, Europe, and East Asia, and chaired the World Economic Forum’s Global Agenda Council on Conflict Resolution. Through non-profit funding, he developed a high-impact program on conflict resolution that has reached one million people across more than 20 countries. Dr. Shapiro is author of the critically acclaimed book Negotiating the Nonnegotiable and co-author with Roger Fisher of the negotiation classic Beyond Reason: Using Emotions as You Negotiate. He has contributed to The New York Times, The Boston Globe, Time, and other popular publications and is recipient of numerous awards, including the American Psychological Association’s Early Career Award and the Cloke-Millen Peacemaker of the Year Award. Questions? Contact Sharon Comet-Epstein, PhD., JD at cometepsteinlaw@aol.com.